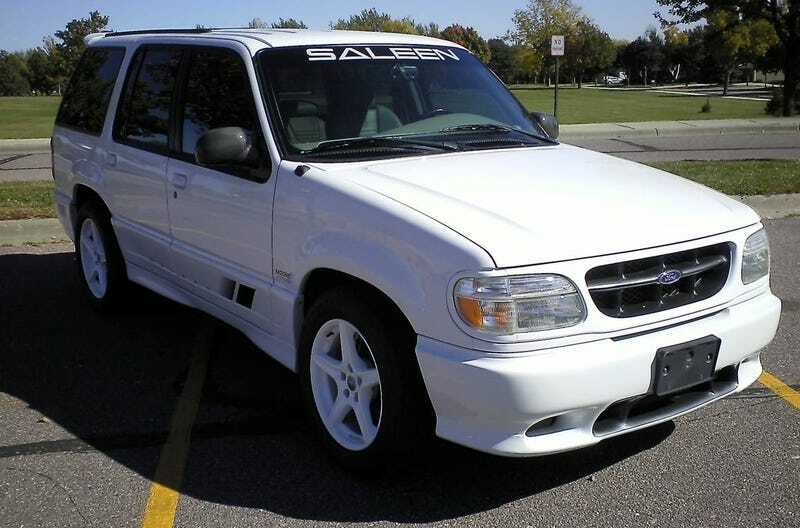 For $11,000, Could This 1998 Supercharged Saleen Explorer XP8 Put Some Sport In Your Utility? Steve Saleen really likes his name. How else could you explain all its instances over today’s Nice Price or Crack Pipe Explorer XP8? Let’s see if this rare SUV comes with a price worth signing your name on the pink. Do you think that when it comes to machinery older is better because “they don’t make ‘em like that any more”? I recently watched actor Nick Offerman give a tour of his L.A.-located woodworking shop. Yeah, who knew? He was asked why all of the shop’s equipment—lathes, planers, drill presses and the like—were so freaking old. Offerman said that he specifically looks for the oldest tools he can find as they are the most solidly built and generally least problematic. Considering his ethos, I wonder if Nick would have appreciated yesterday’s 1984 Toyota Celica GTS? Many of you certainly did, and 60-percent of you felt the price tag was Nice Price worthy too. Now, if you look them up in their high school yearbook you’d probably find ‘80s Toyotas listed under “most likely to succeed.” Look up today’s 1998 Saleen Explorer XP8 on the same page however, and you’ll likely find it under “Most Athletic” owing to its heavy-breathing engine. When Ford introduced the Explorer in 1990 it seemed like it was the automotive equivalent of the Macarena—suddenly everybody was doing it. There had been Sport Utilities before the Explorer, and GM had contemporary competitors in the mini Blazer and GMC Jimmy, but Ford’s mid-size SUV lead the category to new heights. In short it order became as much a part of America’s suburban landscape as fescue lawns and street lamps festooned with fliers advertising missing cats. Steve Saleen, the former race car driver, had been building Mustangs that one-upped Ford’s in-house performance machinations for some time when he turned his attention, and his penchant for placing his name on nearly every flat surface possible, to the Explorer. The result was the XP8, and maybe about 125 of these bad boys were built between 1997 and 2001. This one is claimed to be #24 of those, and has Steve’s autograph on the hatch in addition to the Saleen name pretty much everywhere else. Modifications here over your run of the mill explorer include a Racecraft suspension giving the truck a 2-inch drop, four pot brakes, and Speedline magnesium wheels in body-matching paint. There’s also a Powerdyne centrifugal supercharger which gives the 302-cid V8 a 50-horse push for a total of 286. An automatic backs that up. The supercharger is just one of the three major options this XP8 possesses, the others being AWD and a set of leather Recaro seats which, yes, have Saleen embroidered on the backrests. Sigh. Now, a couple of things about the brakes on this truck—the XP8 used Alcon aluminum calipers, and one of those pictured looks to have been scraped up rather alarmingly. According to the Saleen Club of America, these bits—calipers and rotors—are really freaking expensive. Maybe it’s a good point of discussion with the seller before making an offer. The truck otherwise looks to be in pretty decent shape, although we only get some tightly cropped shots of the interior, not really enough to get the lay of the land. There’s 86,000 on the clock and the bodywork seems to have held up well over those. The XP8 received unique lower cladding and a flippidy-doo spoiler in back. Over all it’s fairly subtle, which can’t be said for the all-caps SALEEN across the top of the windscreen. Geez Steve, give it a rest. The seller says the truck has been professionally maintained, and has great belts, tires and glass. He’s offering it for sale to make room for a new toy, or so the ad says. To assist with his spring cleaning you’d need to come up with $11,000. That’s a lot for an old Explorer, but how does it fare for something that says Saleen pretty much all over it? Do you think this rare SUV might be worth that $11,000? Or, do you think the seller’s going to have to name a new price? H/T to Hardvark for the hookup! For $4,200, Could This 1984 Toyota Celica GTS Be A Notch On Your Belt? 2006 Saleen S7 for an Investment-Grade $375,000!